Gas turbine engine - multi-channel measurements for vibration, temperature and pressure. 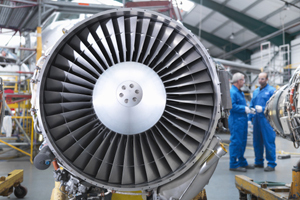 Even within limited budgets, aerospace engine designers must always seek technical innovation in the areas of safety, reduced noise, weight and overall efficiency. As a result, their goal is to design new engines that are safer, quieter, lighter and more efficient. Performing the tests on these engines is extremely expensive so a reliable data recorder is required. Data loss during a test has serious financial implications and can negatively impact further project developments. The WX-7000 can be used as a dependable data back-up recording solution for PC front-end measurement systems. The WX feature set provides reliable data recording with protection from catastrophic data loss. Using 1TB RDX media, the WX-7000 records 72 times longer than a Sony SIR-1000. There is no need to change media as frequently to record long term test data. Test engineers around world had counted on the Sony SIR Series for data acquisition. However, it has been more than three years since this product was discontinued. Sony Manufacturing Systems Corporation has already sold off their data recorder business. Users were looking for a data recorder to replace the SONY SIR-1000 and asked us to create one. This is why we are introducing the WX-7000. To fill their requests, the WX-7000 was equipped with the following functions. Railways are attracting attention as environmentally-friendly transportation systems and are becoming recognized as a more convenient mode of travel in recent years. 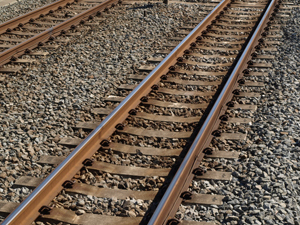 In order to maintain safety and reliability, it is required that vehicle architecture and general train operations are periodically reviewed so that improvements can be made. TEAC's WX-7000 plays a key role in the evolution of this outstanding technology with its ability to measure and record the physical phenomenon involved with rapidly moving vehicles. 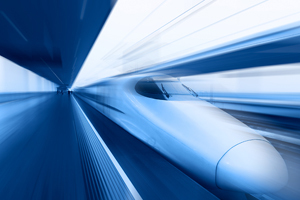 The WX-7000 is used in the development various railway technologies due to its wideband, multi-channel and long duration recording capabilities. 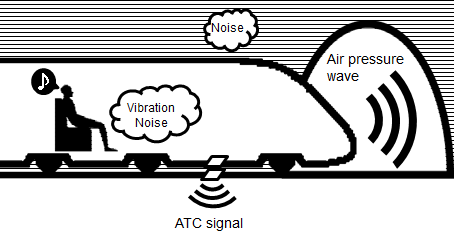 Measurement and analysis of pressure, strain and vibration on a vehicle body when moving along with the WX-7000's ability to record the railway ATC (Automatic Train Control) signals will support further safety and reliability advancements. The WX-7000 is extremely helpful with future improvements to ride quality by analyzing internal noise and moving vehicle vibrations. WX-7000 helps to reduce the environmental impact of these vehicles by recording and analyzing a tunnel's air-pressure wave (noise generated due to a rapid air pressure change) along with external vehicle noises.